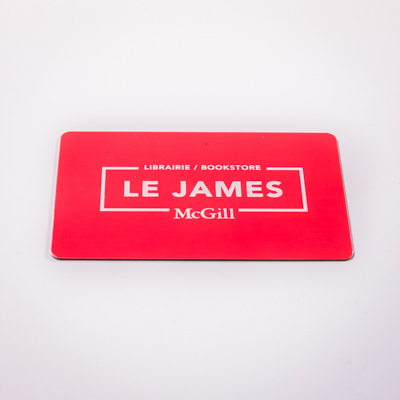 Power your devices, McGill-style. Our slim 2,600-mAh power bank fits easily into your pocket or purse, and comes with a micro-USB wire for charging. Works with any iPhone or Android device, charging cable not included. Plug and play the McGill way. Plug and play the McGill way. Store important assignments and files on our 16GB USB key, which proudly sports the University's logo. Comes in a plastic box.